Earlier this week we reported on new data that revealed the most (at least) loyal smartphone owners in terms of how likely they are to stick to the same brand when they buy their next smartphone. Now we want to know how AndroidPit readers feel about this hot topic. If you haven’t read our original article, it is worth familiarizing yourself with the data to get your head around the subject. If you've not time for that, the headline stats are that 70% of iPhone say they will stick to Apple for their next phone. Huawei fans are the most loyal in the Android space, and only 11% of Motorola users say they will get another one next time. How important is brand loyalty to you when it comes to choosing a new smartphone? Let us know the reason for your choices in the comments section below the poll. Thanks for taking part! How much do you consider brand loyalty when buying a new smartphone? A lot: I stick to the same brand ever time I upgrade. Quite a lot: I check out my current brand before others. To some extent: I don't feel the need to be loyal, but sticking with the same brand is often convenient. Not a lot: I prefer to switch brands if I can so that I get a new experience each time. Not at all: I buy whatever I think is the best for me, regardless of the brand. I am loyal to Android, and would never switch to iOS, but not to a particular brand. Being faithful to a particular brand is a beautiful thing. 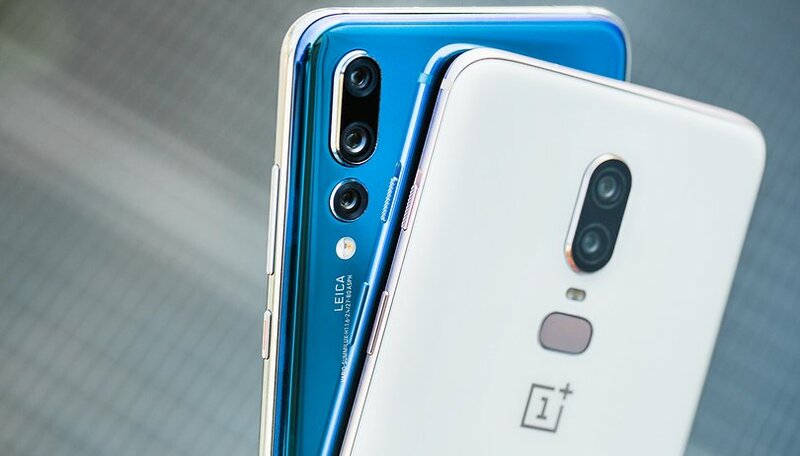 But in the very dynamic world of mobile phones, this is more difficult and is not necessarily the best thing, because from one generation to the other, the phones of the same producer, there may be quite big differences. If the competition is so great, every time a mobile phone is coming to "the neighbor". So it's pretty hard to choose a phone, and let's just be faithful to one producer. That's why it's a good idea to set up some of your mobile phone calls in advance, watch your phones, and find the model that meets all your desires. You can find the "cheapest," "the most expensive," but just as well you can find the "most useless phone", that is, something that you buy only to prove that you have nothing better to do with the money. It's a nice thing to be true to a certain brand if that brand is loyal to its customers and manages to fulfill as many of their wishes. Or if the desires are not heard and prefer to go only on its own path, then it will become a producer without... clients. So it will disappear from the market. Even a decrease in the number of clients is already a factor that should be thought of. Brand loyalty? I sort-of-kind-of had that relationship with Huawei. LOVED the Mate2, 8, 9, but living in the USA, and the way they tossed ZTE & Huawei under the bus, then drove over them several times, I just can't see Huawei, happily supporting the U.S. market. So now I'm currently using a Essential PH-1, even with the known antenna issues, it is still a pretty good device, but I think I'll switch to the pixel 2 when the 3 comes out and the price on the 2XL drops. Updates immediate, patches immediate. The essential gets the updates as well, but it looks like they screwed the pooch by pricing it as high as they did. When it came down to 300 bucks, it was a pretty easy deal to get one. If it has a good battery life, works well AS A PHONE, good camera, the rest is just gravy to me. I'm not entirely stuck on brand loyalty since I've switched back and forth between Android and iOS depending on what met my needs. Currently I'm loving my Pixel 2. The thing I've realised about iphone users is that most of them haven't got a clue what hardware is inside their device and where it all comes from. To them it's a trend thing to say they have a iphone and nothing more. They aren't the type that want to customize their device and don't want choice. They are also the type that don't know how to change a plug, their windows/mac background or a tyre or their cars oil for that matter. Of course those who purchase iPhones are going to be loyal to Apple (they do not have the variety to choose from which Android offers). I learned 2 years ago at CES never to be loyal to one brand, just to look for the specs of interest at the price one could afford - and that's up to the manufacturers to get my attention from now on. I was a very loyal Motorola fan. I had the 2013 motox, the original turbo, turbo2 & zforce. Enjoyed all four. Never really being a fan of Samsung I picked up the s7edge and used it for over 2yrs. The Motorola's were no match for the cameras & display. Now using the s8+ for over a year & the performance has been great. So yes, after using the edge & 8+ I consider myself a loyal fan. But if something comes along better I would consider it. I have the note9 in my sights which I think is the swiss army knife of phones!